Stress, busy schedules, too many chores and a hundred things to do on our checklist sometimes make life feel overwhelming. If you feel like you want to slow down, but you don’t know where to start, why not begin by creating peace and tranquillity in your home? I know that life gets busy and messy (insert new baby, overtime, family commitments, friends etc) but a declutter certainly helps the soul. When you live a life free of clutter and mess, you tend to be able to get your head a little straighter. And to top it all off, coming home to a space that is serene, beautiful and calm can only be a bonus. Whether you believe in Buddhism, Yoga, Feng Shui or not… you can still Zen your zones for a better, healthier and happier life. The most important thing when creating Feng Shui in your living room is to generate a powerful and strong energy that is positive, fresh and clean. So there are a few regulations that you should adhere to if you want to Zen out your zone. The first rule to get out of the way is that damn clutter. We know you’ve heard it before, but it’s all true. It’s bogging you down. In short, anything you don’t need, don’t use, or annoys you, goes in the bin. Why hold on to anything that gives you bad vibes? The second step for a zingy Zen-filled living room is lots of natural light and air. Switch out any dark curtains or blinds for light coloured ones. Throw open your windows and hear the birds sing. If you have a balcony or garden, grow some plants that attract wildlife and see nature close up. Create an airy feel in your living room by adding different shades of lighting. This can be through table lamps, floor lamps and candles. A big part of Zen is being consciously aware. So your living room should feature high quality but functional pieces. Keep away from anything over fancy or blingy. Invest in natural wood furniture that is multi-functional. Decorate in earthy or water tones that promote peace and tranquillity. Bamboo features heavily in Zen rooms, so invest in some for the living room. 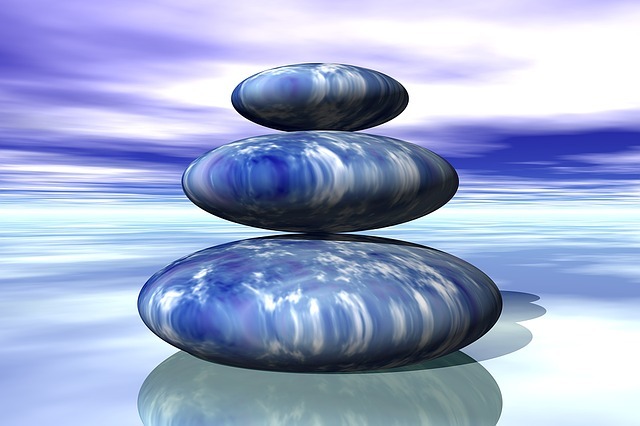 Zen is also about fluidity and function that promote positive energy. Place your sofa against a solid wall and make sure you have a view of the entrance door. Create a seating plan that is conducive to socialisation. Make sure you can walk around all furniture with ease, and if there’s space for a meditation mat and sun salutations even better. Avoid harsh angles and go for coffee tables and cabinets with a rounded shape. And add elements of water, fire, metal and wood. To Zen out your bedroom, you want to evoke harmony, peace and relaxation. That means ditching the TV, technology and any paperwork. Take a look at this John Ryan by Design’s tempur bed and mattress article to help you choose a high quality relaxing mattress that will induce better sleep. Also, make sure that your bed is placed in a way that provides easy access from both sides. This creates a better energy. Make sure you have the windows open throughout the day to promote a clearer flow of energy and fill the room with oxygen. If this isn’t possible, invest in an air purifier. Decorate in neutral colours of white or earthy tones. This can be anything from stones to chocolate browns. These create a warm and inviting energy. Add orchids and positive energy artwork for a more Zen-like feel. Make sure all clothes are either hung up or folded away neatly. 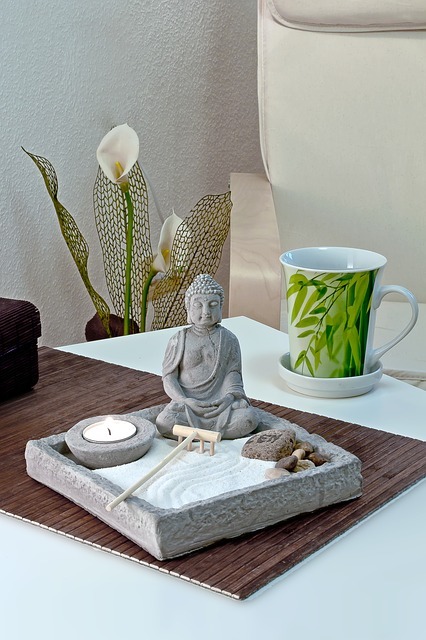 And to really Zen out you zone use candles to clear the energy in the room and create a seductive and intimate feel. And last but not least keep your bedroom door closed at night. This keeps the serene energy you have created in your room flowing throughout, and is conducive to a better night’s sleep.